On the outside, Jacob looks like any other 14-year-old. He plays baseball, practices the drums and loves to play with his pet hamster, Jamal. But on the inside, a Dacron tube holds Jacob’s aorta together in order to keep his heart pumping strong. This treatment for his rare heart condition, coarctation (a disconnect of the aorta), has earned Jacob the nickname: The Bionic Boy, from his family. It has also inspired him to raise awareness about heart health. 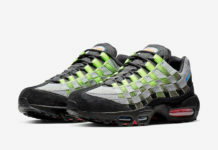 Jacob has turned his Nike Air Max 95 into a public service announcement of the most creative kind. The tongue reminds you to CHECK YOUR BP,” accompanied by a heart made out of Jacob’s thumbprint. “I was thinking that it could help a lot of people,” he says. Other cool features in Jacob’s design include a circuit-board pattern (since he’s bionic, after all), a heart graphic under the heel and a proclamation: I WALK TO MY OWN BEAT on the sockliner. As for the red and blue palette, that’s a nod to Jacob’s favorite superhero: Spider-Man. “Spider-Man does the right thing, no matter what. I think that’s super awesome,” Jacob says. And Jacob’s not the only one who thinks so: Spider-Man’s creator, Stan Lee, has lent his signature to Jacob’s shoe. After the two met at a comic book convention, Jacob asked the legendary comic book writer if he would lend his name to a good cause and Lee was happy to oblige. After his first experience as a designer, working with a team to create his custom shoe, Jacob says he’d like to try his hand at designing video games — especially the kind where you choose your own storyline. “I like games that keep going, where you can achieve your own goals,” he says. 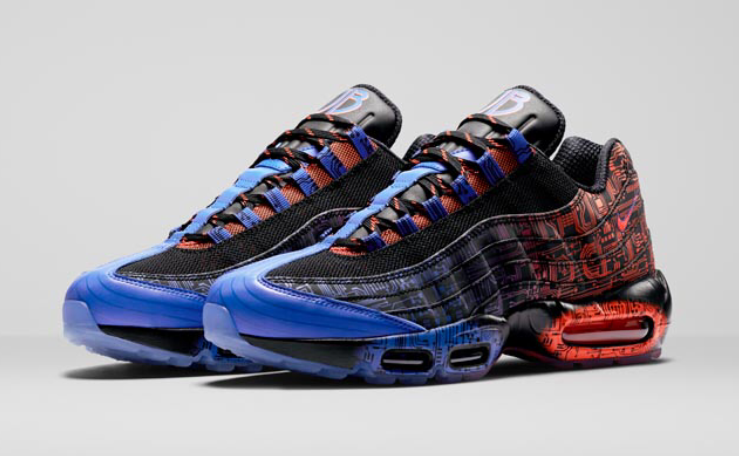 The Nike Air Max 95 “Doernbecher” will be available beginning Sunday, November 21st at select Nike retail stores, with all proceeds from the sales of the entire collection benefitting OHSU Doernbecher. The retail price tag is set at $170 USD.